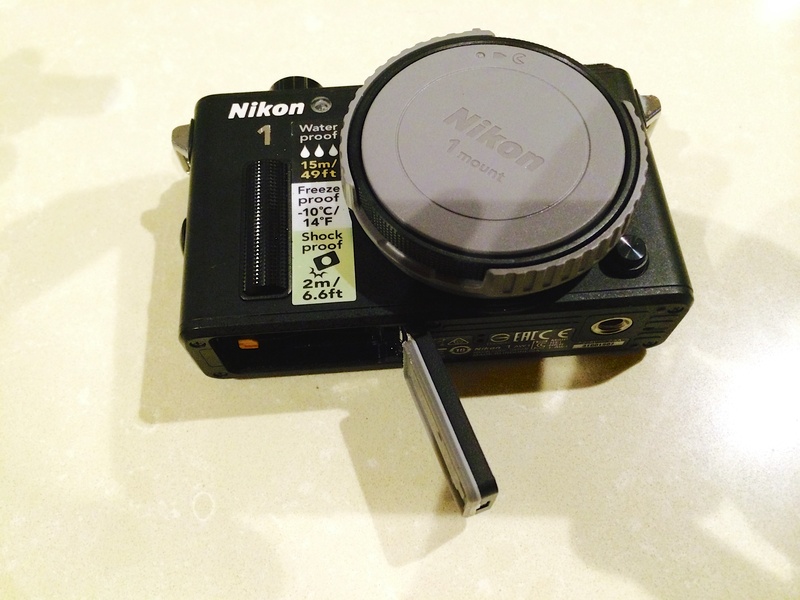 Nikon AW1: Lemon or Just Rotten | When Can We Go? Evidence of water damage from a leak in the Nikon AW1 casing. Nikon AW1 after two uses will be returned due to leaking case. it does my heart no good to deliver such a bad review especially since my loyalty to Nikon rivals my steadfastness to the other brand that defines my snobbery when it comes to electronics, Apple. I have been a fan of Nikon Cameras since my darkroom days. I have used Nikon Cameras happily for decades. They have never failed me… Until this weekend when I took the “Nikon AW1 ” out to catch the kids in the surf and the camera just stopped. She wouldn’t turn on. She just died… And let’s be clear, I know how to clean a camera. I have “Panasonic Lumix DMC-TS5D ” that has worked beautifully for years. I have taken it on mud runs, through heavy surf and diving and it has never given me an ounce of grief. I am a bit obsessive about cleaning the camera after any kind of salty or dirty excursion and I think it has paid off as the camera has taken great photos with no hassles. Then for my birthday, I received the Nikon AW1 and, yes, I shelved that Lumix like it was yesterday’s news. I, again, admit I have an unnatural loyalty to Nikon as well as being excited to leave the fixed lens, all weather, compact camera world for the ability to have a DSLR (albeit compact) all weather experience. I was thrilled. The camera did a great job on it’s first outing taking some high quality stills and video in and out of the surf. I was amazed at the quality and the versatility of the camera. In fact, I read the instruction manual cover to cover as there are so many well-designed features (especially for underwater usage). After that first use, I carefully bathed the camera in warm water to remove salt and sand. I, then washed it again in running water. I dried it with a towel thoroughly and let it sit over night just to make sure that no moisture would hurt the camera. The next morning, I removed the memory card got my pictures, cleaned the battery/memory card compartment and set upon another day of taking beach pictures. The camera was great for two hours but once I took the camera into the water with me in an attempt to capture footage from the nose of my boogey board- she died. Immediately, I left the water and dried the camera on the beach. 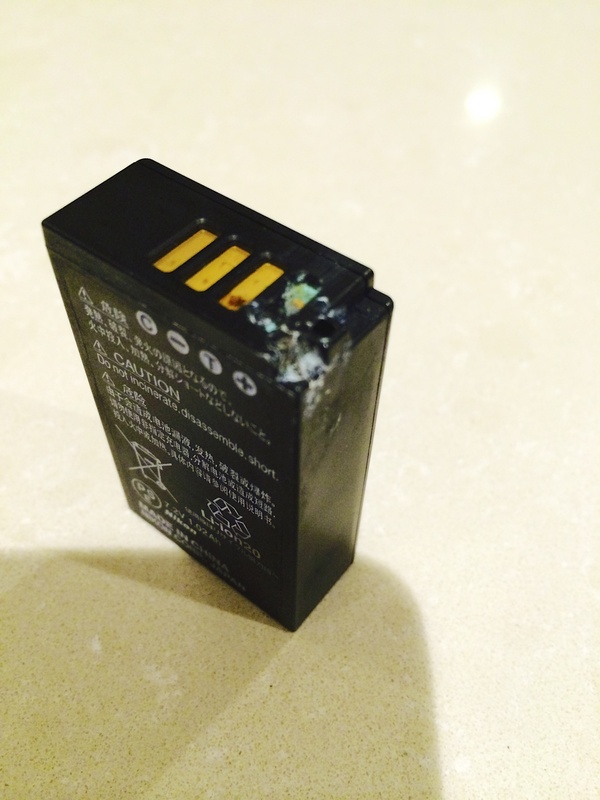 I was worried about leakage and so with dry hands on a clean towel, I opened the battery and saw that water had entered the battery and already corroded it. So, now I am left with believing that this camera must have had a defect. I can’t believe that Nikon would put out a substandard product. I am interested to see if when invoking the warranty, I will get a fast replacement or will need to jump through hoops. I am leaving for Australia on July 1, 2014 and was going to be using this camera as my primary, but I guess I could be dusting off my stalwart Lumix and bringing my “Nikon D7100 ” which, by the way, has never failed me. Did you get your camera repaired by Nikon? My AW1, after 4-5 water adventures developed a leak in the same area as yours….battery compartment. I believe that the leak is actually through the the buttons on the back panel. Yes, they EVENTUALLY sent me a new one but it took a LOT of cajoling.